Model VTS100 is a steel deck truck scale that delivers proven performance at an affordable price. It consists of a steel deck supported by orthotropic ribs that are completely sealed from the elements by automated, continuous welds. By pressure testing every rib, we ensure an airtight seal that eliminates the potential for rusting from inside, unlike scale designs that sandwich beams between top and bottom plates using intermittent welds. The ribs are shaped to distribute concentrated loads better than I-beam designs, leading to a longer life for your scale. 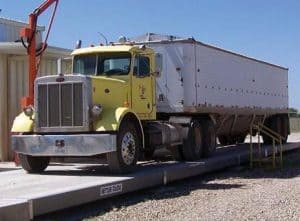 As a result, you get truck weighbridge scales capable of handling legal over-the-road traffic throughout a long service life. Model VTS101 is a steel deck truck scale with POWERCELL® PDX® technology added as a standard feature. It consists of a steel deck supported by orthotropic ribs that are completely sealed from the elements by continuous, automated welds. By pressure testing every rib, we ensure an airtight seal that eliminates the potential for rusting from inside, unlike scale designs that sandwich beams between top and bottom plates using intermittent welds. The ribs are shaped to distribute concentrated loads better than I-beam designs, leading to a longer life for your scale. As a result, you get truck weighbridge scales capable of handling legal over-the road traffic throughout a long service life. 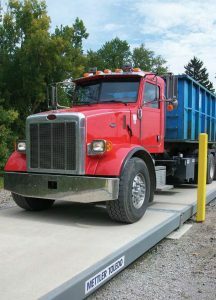 By combining the strength of an orthotropic weighbridge with the reliability of POWERCELL load cells, this truck scale ensures that you will get years of trouble-free weighing even in the harshest environments. Model VTC100 is a concrete deck truck scale that delivers proven performance at an affordable price. 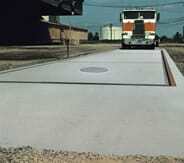 It combines a concrete driving surface with a robust orthotropic understructure. The composite design draws upon the strengths of both concrete and steel to produce an exceptionally durable structure. It eliminates a common cause of premature deck failure: voids in the deck that occur when pouring concrete around I-beam flanges and sharp corners. 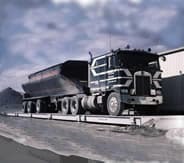 As a result, you get truck weighbridge scales capable of handling legal over-the-road traffic throughout a long service life. Model VTC101 is a concrete deck truck scale with POWERCELL® PDX® technology added as a standard feature. It combines a concrete driving surface with a robust orthotropic understructure similar to those used in our steel deck truck scales. The composite design draws upon the strengths of both concrete and steel to produce an exceptionally durable structure. It eliminates a common cause of premature deck failure: voids in the deck that occur when pouring concrete around I-beam flanges and sharp corners. 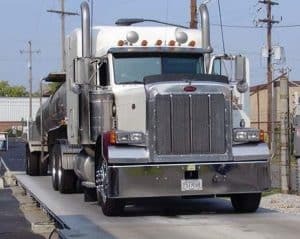 As a result, you get truck weighbridge scales capable of handling legal over-the-road traffic throughout a long service life. By combining the strength of an orthotropic weighbridge with the reliability of POWERCELL load cells, this truck scale ensures that you will get years of trouble-free weighing even in the harshest environments. Model VTC221 is the strongest METTLER TOLEDO concrete deck truck scale. It combines a concrete driving surface with a robust orthotropic understructure similar to those used in our steel deck truck scales. This composite design draws upon the strengths of both concrete and steel to produce an exceptionally durable structure. It eliminates a common cause of premature deck failure: voids in the deck that occur when pouring concrete around I-beam flanges and sharp corners. As a result, you get truck weighbridge scales capable of handling high volumes of traffic over a long service life. Model VTC221 uses POWERCELL™ PDX™ load cells, which offer unequalled reliability and a predictive diagnostics system designed to keep your scale up and running. By combining the strength of an orthotropic weighbridge with the reliability of POWERCELL load cells, this truck scale ensures that you will get years of trouble-free weighing even in the harshest environments. Model VTS231 sets the industry standard for steel deck truck scales and is the ideal choice for a wide variety of vehicle weighing applications. The steel deck is supported by orthotropic ribs that are completely sealed from the elements by automated, continuous welds. By pressure testing every rib, we ensure an airtight seal that eliminates the potential for rusting from the inside, unlike scale designs that sandwich beams between top and bottom plates using intermittent welds. The ribs are shaped to distribute concentrated loads better than I-beam designs, leading to a longer life for your scale. 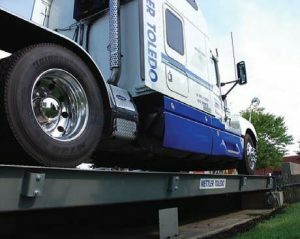 By combining the strength of an orthotropic weighbridge with the reliability of POWERCELL® PDX® load cells, this truck scale ensures that you will get years of trouble-free weighing even in the harshest environments and toughest applications. The model 7541 installs flush in a pit and is ideal for sites where overhead clearance or restricted space is a concern. It’s versatile design allows it to be easily adapted to accept grain dumps or to be installed in existing pits. The steel reinforced concrete deck is contained within a 6″ C-Channel deck frame supported by wide flange beams. Depending upon the length of the scale, on or two manholes are provided for easy access. There are many standard sizes available, but can be customized to many varied requirements. The Truck Mate model 7560 CD Scales are designed and factory built to give you years of reliable service. The composite design of its weighbridge uses concrete and steel, each to its best advantage … steel in tension, concrete in compression. Utilizing both the Standard Power Cell, and the new unparalleled MTX Technology, our staff can recommend based upon your weighing requirements the scale specifically designed for your operation. Precision Assembly fixtures and robots assure that every module is fabricated to the highest manufacturing standard. The 7560 Concrete Deck Truck Scales … Built to perform Better and Longer. METTLER TOLEDO developed the 7563 especially to weigh heavy duty off-road vehicles in coal, aggregate, woodlands, steel mills, utilities, mining and similar operations, 7563 DigiTOL technology off-road vehicle scales are built rugged for a long life span and reduced downtime. Standard high clearance of 30″ under the scale provides for maintenance ease and less downtime. The 7563 HD Hauler is 11′ 10″ wide, making it easier for trucks to maneuver on and off the scale. The 7563 Twin HD Hauler is a side-by-side version that’s 19′ 9″ wide to handle the largest off-road vehicles. Mettler Toledo truck scales for sale. Full line of new truck scales for sale & used truck scales for sale. 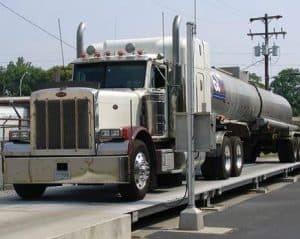 Truck scales are complete truck weighing systems. Call La Crosse Scale today for your next semi truck scale.